Custom Milling & Consulting, Inc., is pleased to announce the opening of its new 33,600 sq. ft. facility located adjacent to its existing three buildings. 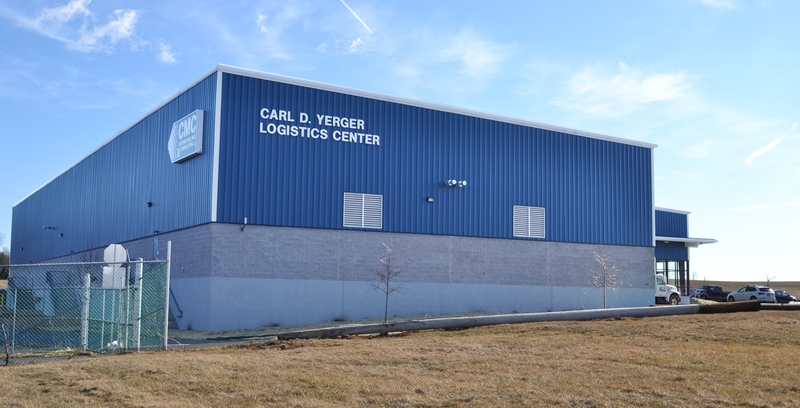 The new building has been named the Carl D. Yerger Logistics Center in honor of the late Carl D. Yerger, the late president/co-owner of CMC that passed away in March of 2014. Mr. Yerger valued innovation, growth, and superior service through every facet of the company and he believed in “making our customers successful first and then our success will follow.” It was hard work, commitment, and leadership that Mr. Yerger aspired to and exhibited every day while working closely with employees and customers. The Carl D. Yerger Logistics Center is one more stepping stone in the continued growth of CMC. Finding new ways to better serve their current and future customers will remain the number one goal of the company.